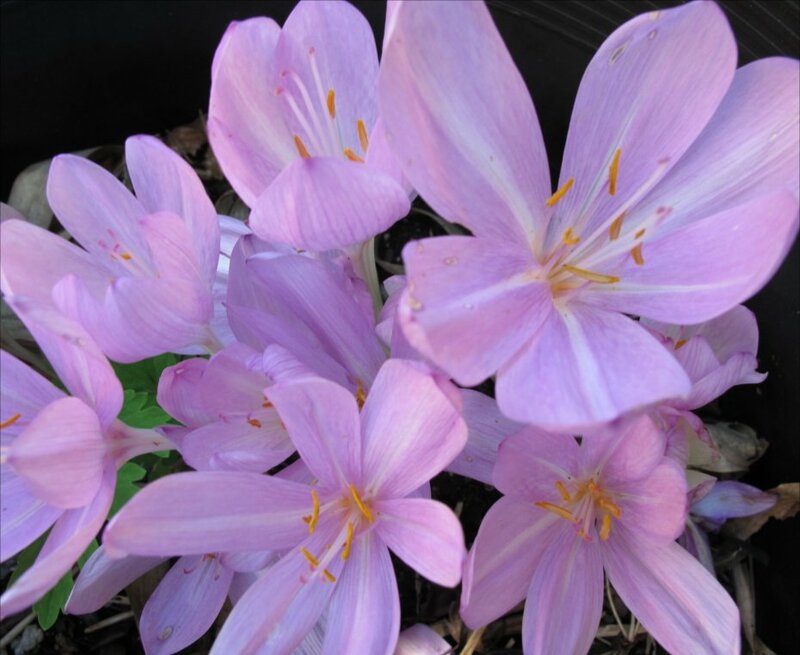 My Colchicum conundrum is not having to choose which of these stunning fall bloomers to buy and plant in the landscape. Nor is it confusion about why the flowers emerge from the ground in autumn sans leaves. No, my problem is getting them out of the back plastic pots and actually integrating them into the landscape or borders. Lately, it’s finding the pots in the first place. 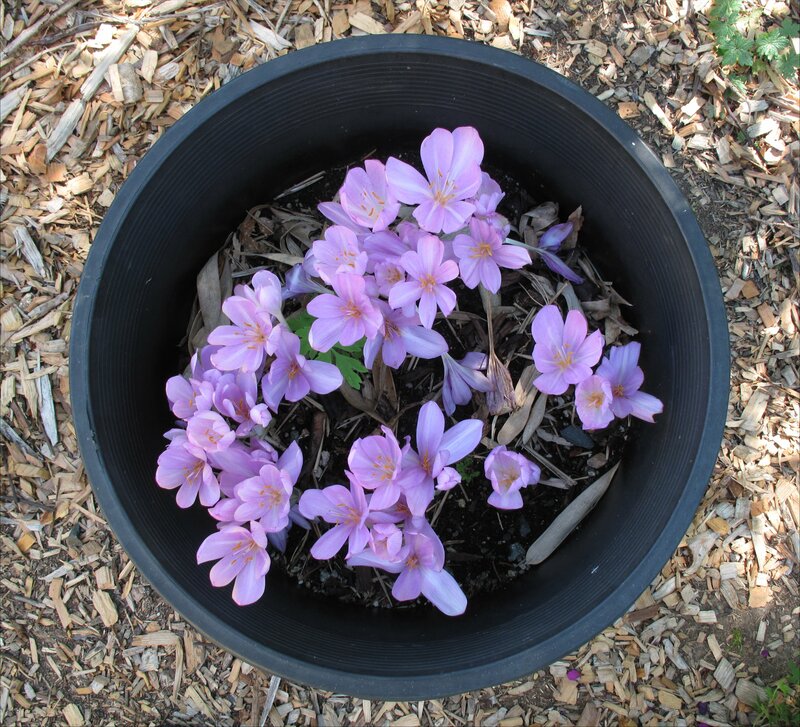 I had a Colchicum with a waterlily-like bloom at one time, but after the blooms are finished or once the summer big strapping leaves are brown and gone, it becomes harder to identify the pot. I may have discarded the soil without noticing the Colchicum corms. Usually right after blooming I move the pots to a storage area and forget about them. When the strap like leaves appear, which are easily recognizable, I’m reminded of the fall bloom to come and to water throughout the spring and summer. 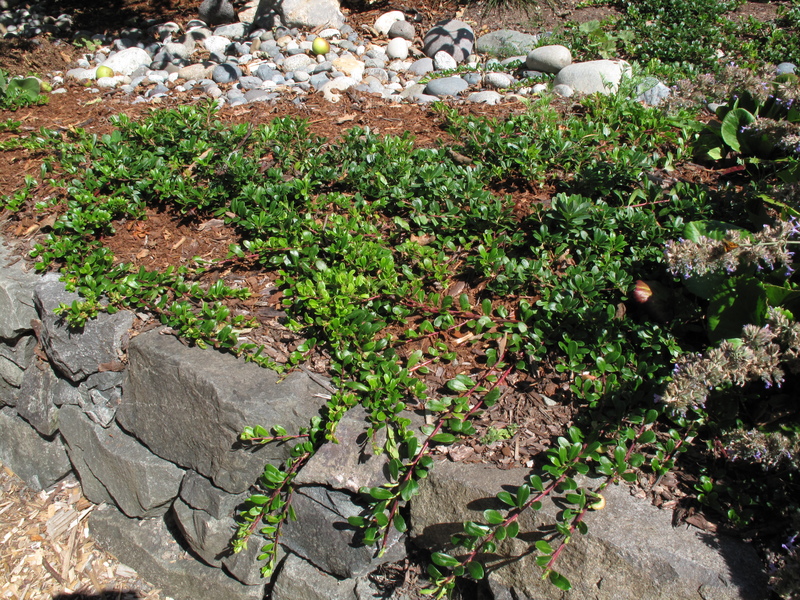 As far as integrating Colchicums into the garden beds — I originally thought it would be a simple matter of choosing the front of the border with a low growing evergreen ground cover such as Ceanothus ‘Point Reyes’, a prostrate catoneaster or even our Pacific Northwest native Kinnikinnick. The fall flowers would pop right through the carpet of green and all would look great. But how to handle the rest of the year is the thorny issue, especially when the tall clump of strap-like leaves distracts from the other spring and summer plants. When the clump of leaves finally browns out and the corm underground is sufficiently rejuvenated for fall bloom, then it’s an easy matter of removing the browned out leaves. Until that time though the leaves seem out of scale and superfluous. Having just now reread the post one solution seems rather obvious to me: Just buy some better looking pots suitable for placing in the landscape. I could even transfer the corms back to the plastic pots for the post bloom period right through summer and use the better pots for another plant. That said, I would love to hear how other gardeners might handle this conundrum in their own gardens. This entry was posted in Pacific Northwest Natives, Plant Picks and tagged Arctostaphylos uva-ursi, autumn crocus, Colchicum autumnale, Kinnikinnick, meadow saffron, naked lady crocus by Bart Arenson. Bookmark the permalink.